What is factoring? 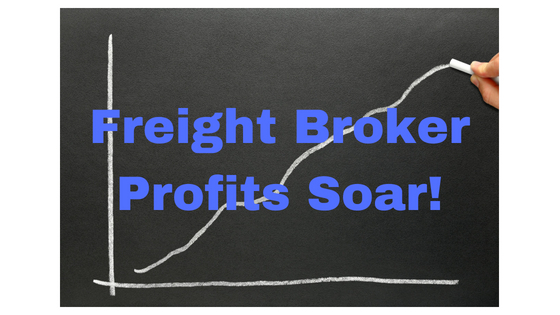 Pro’s and con’s for freight brokers! To many people factoring sounds as complicated as Chinese math but the reality is, the concept is fairly simple. Factoring is the process of selling an invoice to a factoring company which then advances up to 95% of the money as quickly as 2 days, rather than having to wait 30-60 days for the customer to pay. So how exactly does factoring work if you are a freight broker? Step 2: Provide copy of invoice to factoring company and you can typically have your first installment, ranging from 70-95% of the total invoice, within 2 days. Step 3: After the factoring company receives payment from your customer, they will pay you the remaining balance minus their fees which typically range from 1.5% to 5% of the invoice’s face value. Many businesses use factoring as a source of funding when traditional bank financing is not available. In the logistics industry, I would say the most common users are small freight brokerages and trucking companies that rely on fast cash to help finance their day-to-day cash flow needs. Carriers rely on freight brokerages to pay them quickly and many times to even provide a fuel advance before the load delivers. On the other side of the coin, shippers want to hold onto their money as long as possible and may pay you in 30-60 days. This is the driving reason why factoring has become so popular over the past 20 years. Factoring could scare your customers because payments need to be made direct to the factoring company. 1) What are the monthly minimums? 4) What are your fees and how are they structured? 5) What kind of service can we expect? There are many more questions to ask when selecting a factoring partner but these 5 are definitely important and will help you to understand exactly what to expect. Factoring has become common place in today’s business environment and is heavily used in the trucking and logistics industry. There are hundreds of factoring companies and many that specialize in trucking and logistics. If you are a freight broker, truck broker or logistics broker click here to view Google results for a list of providers that specialize in factoring freight bills for freight brokers. 2 Comments on "What is factoring? Pro’s and con’s for freight brokers!"